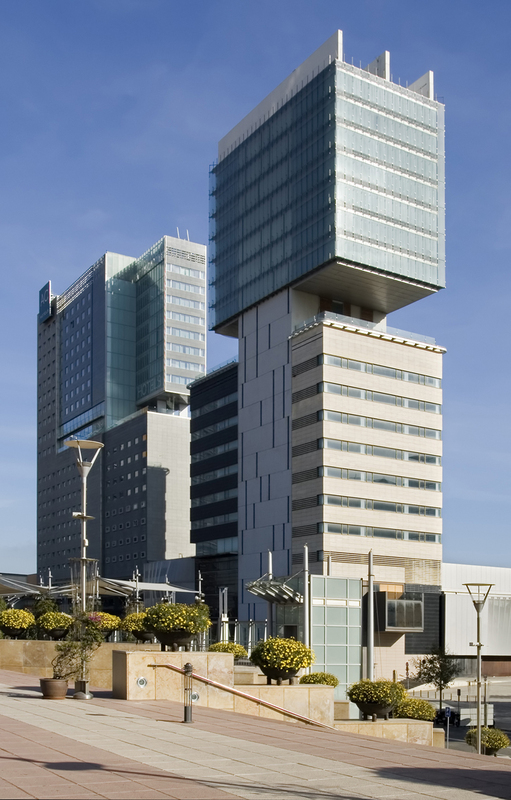 CZF office building was promoted by the Consorcio de la Zona Franca, the Barcelona City Council and the developer Greco, S.A. designed by the firm MAP architecture, was developed together with the center of international conventions of Barcelona (CCIB) and the Hotel AC, on the occasion of the Universal Forum of cultures 2004. With a height of 23 plants, building CZF has an approximate surface of 15,000 m2 and a budget of about €24,000,000. Technical architect Sergi Barquet participated as coach of the property on behalf of the promoter Greco, S.A.